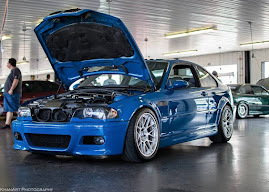 Post E46 M3 torque spec's and I'll add them here. 2. Torque each bolt 90 degrees in the same order. 3. Torque each bolt 90 degrees one final time in the same order. Last edited by m3 hal; Sat, Nov-12-2016 at 02:25:06 AM. Last edited by Flow; Sun, Apr-10-2016 at 05:54:39 PM. Sorry, no turbro thread here. But, it's not because the E46 M3 has no torque that it cannot be torqued right, right ? I will add it to the torque thread. Tried to verify as many as possible, but of course I may have made mistakes, so please tell me if you see any ! I made this because we took a friend's car apart in order to repair the RACP, and we wanted to torque everything back to factory specs, which got me started. I will print this and always leave it in the garage. Very easy to check tightening torques. Any feedback on how to make it better appreciated ! Last edited by Flow; Fri, Mar-03-2017 at 01:52:19 PM. Wow, awesome work. Thanks for sharing it. Just realized I did everything in Nm. Should I convert everything to Ft Lbs ? Would that be easier for american users ? I was just gonna ask if you had it in foot lbs ! This is amazing for lack of better terms man..!!! I'm literally in the middle of a full engine rebuild and you have no idea how much you just helped me out !! To convert to Ft Lbs, I can do that of course, but will need some time. It's late here now, and I need to get some sleep before a big day of work tomorrow. All times are GMT. The time now is 04:28:57 PM.